The New Jersey Council on Higher Education has said that an excellent higher education system is key to New Jersey’s future—to its economy, to the jobs of today and tomorrow for its students, and to the quality of its culture. 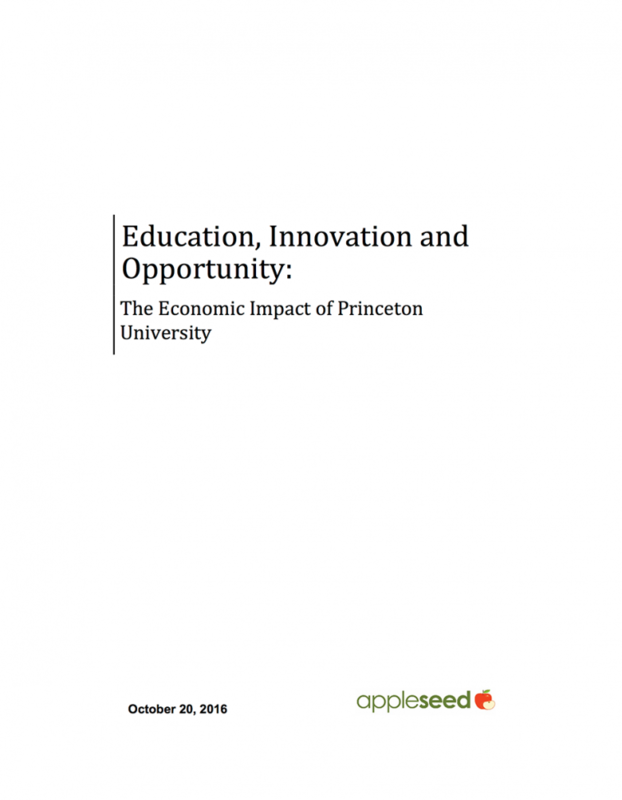 Princeton University is proud to set a standard of excellence that is recognized throughout the world and pleased to share this summary of the significant and growing impact it has on the state's economy. As a leading educator, employer, builder, purchaser and community partner, Princeton serves as an influential catalyst for the strength of New Jersey's economic, intellectual and cultural life. An analysis by Appleseed Inc. - which takes into account the University's nearly $601.9 million payroll, $453.6 million spent on the purchase of goods and services, $318.1 million spent on construction and maintenance and off-campus spending by students and visitors - estimated that in fiscal year 2015 the University directly and indirectly accounted for $1.58 billion in economic output in New Jersey, supporting 13,450 jobs with earnings totaling $970.7 million.